There are a lot of New in Entertainment options this week — starting with the animated hit Sing! The musical comedy follows a koala who hosts a singing competition with several fellow animal friends following their dreams. The film adaptation of the incredibly popular video game Assassin’s Creed is now on DVD, with Michael Fassbender in the lead as a man exploring the memories of his master assassin ancestors and their secret society. The “Best Picture” nominee Lion, based on a true story, stars Dev Patel playing a man who goes back to India — 25 years after getting lost at age five — to find his biological family. Jessica Chastain is Miss Sloane, a cut-throat lobbyist who does whatever she needs in order to get a gun control legislation passed. James Franco directs, produces and stars in In Dubious Battle, set in the 1930s, following two activist caught up in a labor movement for farm workers in California. Eloise is a horror thriller about four friends who break into an abandoned, haunted insane asylum to find a death certificate. Two new titles from the small screen include HBO’s comedy series Insecure: The Complete First Season and Netflix’s Master of None: The Complete First Season. In new albums dropping this week there’s James Blunt’s fifth studio album Afterlove. And Jethro Tull frontman Ian Anderson teams with the Carducci String Quartet to redo some of the band’s biggest hits in Jethro Tull: The String Quartets. And offerings on both PS4 and Xbox One platforms include Mass Effect: Andromeda an Troll and I. The live-action remake of the classic animation makes LeFou, villain Gaston's sidekick, the first openly gay character in a Disney film. A board member at the National Cinema Company, which operates most of Kuwait's cinemas, said an edited version might be screened later this week. Disney is yet to comment on the move. Beauty and the Beast, starring Emma Watson as Belle and Dan Stevens as the Beast, has taken more than $350m (£282m) around the world and opened in Kuwait on Thursday, rated PG-13. But the National Cinema Company - which runs 11 of the 13 cinemas in the predominantly Muslim country - contacted those who had tickets to see the film on Monday to say the screenings had been cancelled. It cited "unforeseen difficulties" and promised a full refund. Board member Duaij Al-Khalifa Al-Sabah told the Associated Press news agency: "We were requested to stop the screening and further censor the movie for things that were deemed offensive by the Ministry of Information's censorship department." The film's "exclusively gay moment" earlier led to censors in Malaysia requesting edits, but Disney pulled the film from release there. A drive-in cinema in the US state of Alabama has also cancelled screenings of the film. The film sees Josh Gad star as LeFou, opposite Luke Evans' Gaston. 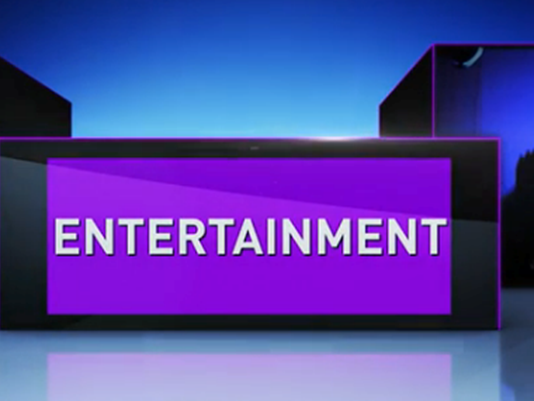 0 Response to "New in Entertainment: March 21"